Ever wonder how they make My Little Pony movies or even an episode from the popular series? 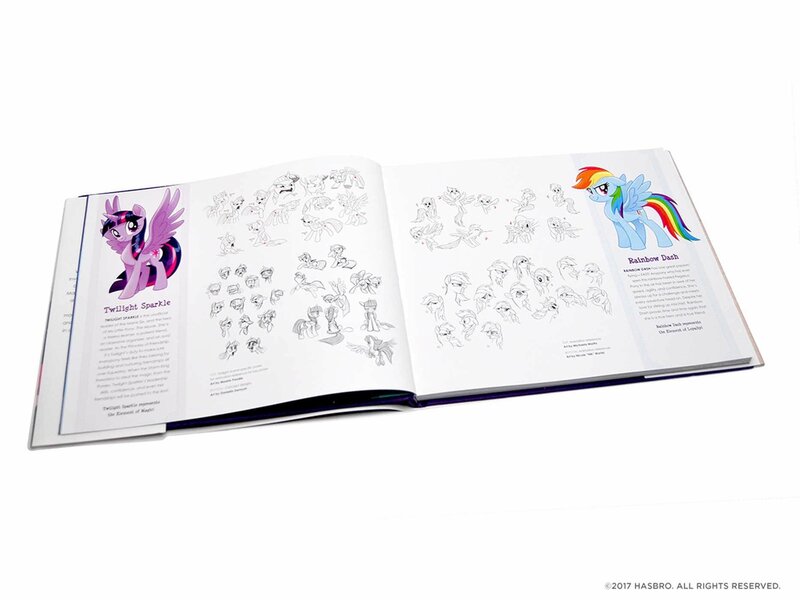 Then, you will want to pick up the recent hardcover release, "The Art of My Little Pony: The Movie," which gives you a behind the scenes look at how the latest feature film came about. 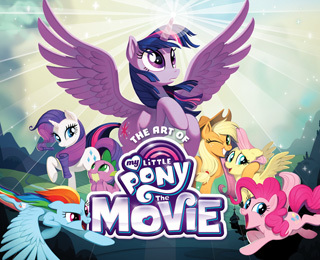 With exclusive behind the scenes materials from the creators of the movie, fans of MLP and this recent movie will get to explore all things MLP like never before. We were recently sent a copy of this book to review, and the first thing I thought when I was flipping through the pages is how this would make a great coffee table book. I grew up watching MLP and playing with the ponies as a child, and now I get to enjoy MLP in fun new movies and the hit animated series on television. Not only are my girls fan of MLP, but my husband also is proud to call himself a brony. And, when I showed them all this book the other day, they were all smiles...why? Because we saw this movie three times when it was out in theaters. And, we plan to buy it when it arrives on DVD. As we patiently wait for the release on DVD, we get to enjoy some of our favorite parts of the movie through breathtaking full-color artwork from the movie, as well as read notes from the sketch artists, that helped turn their drawings into a great MLP movie. 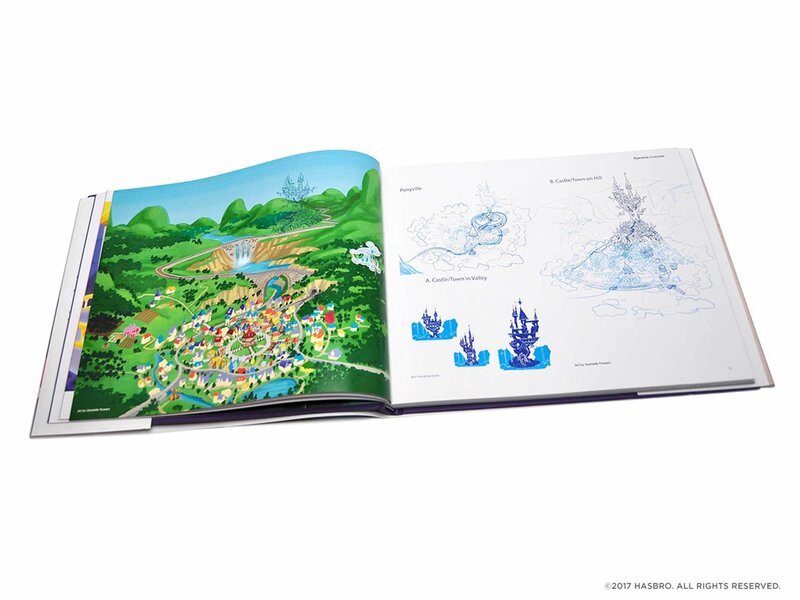 "A beautiful full-color hardcover art book celebrating the latest feature-length adventure from the beloved global phenomenon My Little Pony. Explore the making of My Little Pony: The Movie with exclusive behind-the-scenes material from the creators of the film. 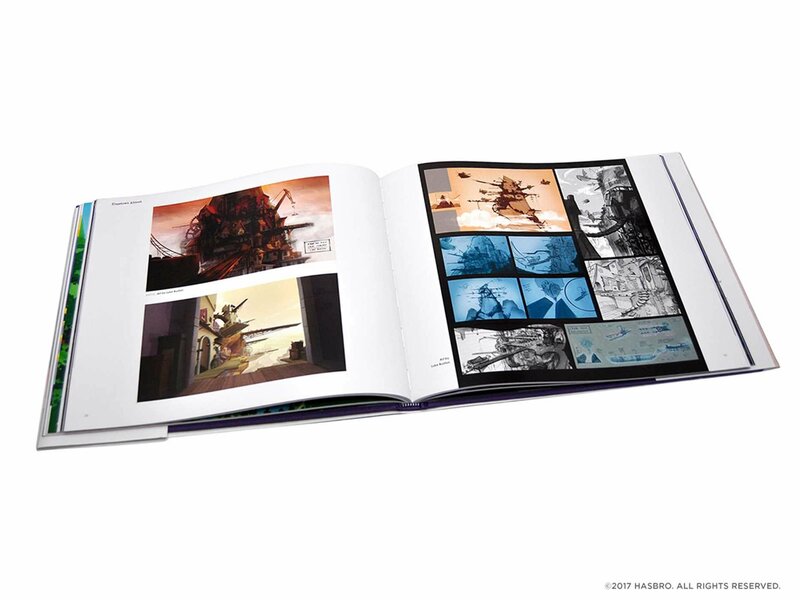 This gorgeous hardcover volume includes concept sketches, notes, character designs, and pages and pages of magical, full-color artwork accompanied by commentary from the director, screenwriter, and character designers. A must-have for all My Little Pony fans." We have really been enjoying "The Art of My Little Pony: The Movie" book, especially the commentary from the director, screenwriter, and character designers.. It is like we are getting to enjoy bonus making of the movie features, before we can order the DVD to enjoy all this MLP exclusive content. 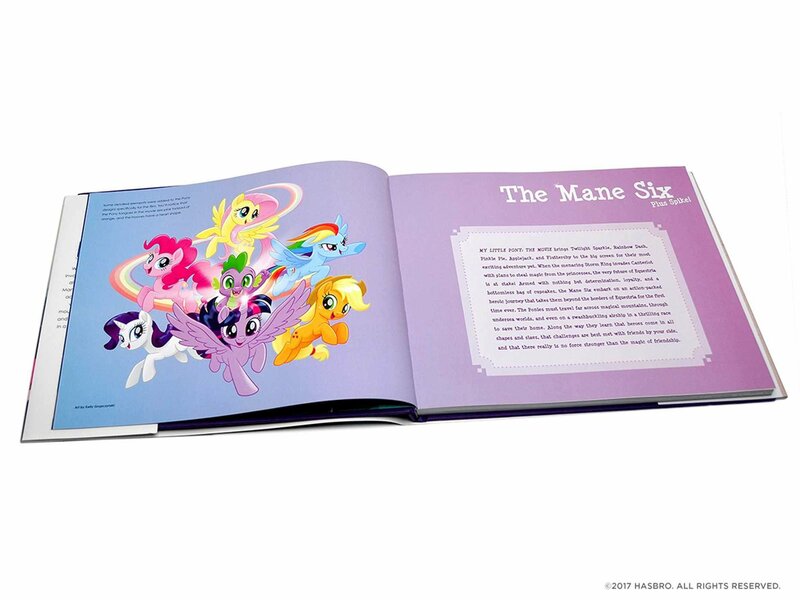 If you have a MLP fan in your life, this is definitely one book they will want to own. This looks ideal for My Little Pony fans!